On the morning of October 27, 2018 Dr. Emmanuel Mufumba passed away peacefully after a short battle with pancreatic cancer. All of us at Peace for Paul, and the whole of Uganda, lost a very important man that day. Doctor Mufumba was instrumental in the founding and development of The Peace for Paul Foundation and was an integral part of our family. 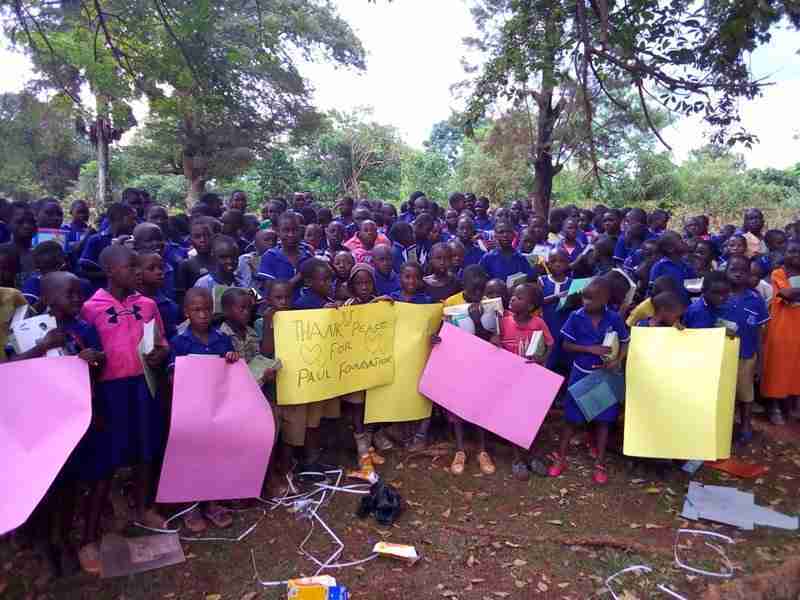 He was our Health Director, but was so much more than that – he was the General Secretary for the Uganda Nurses and Midwives Union, a psychiatric nurse, and “dad” to many of our kids. He will be greatly missed and is survived by his wife, Rose, and his children, both biological and adopted. PFP launched a fundraising campaign during his final days in an effort to offer him some measure of peace. He died knowing his children would be supported until they completed University. We will continue to look for ways to honor him. He will never be forgotten. 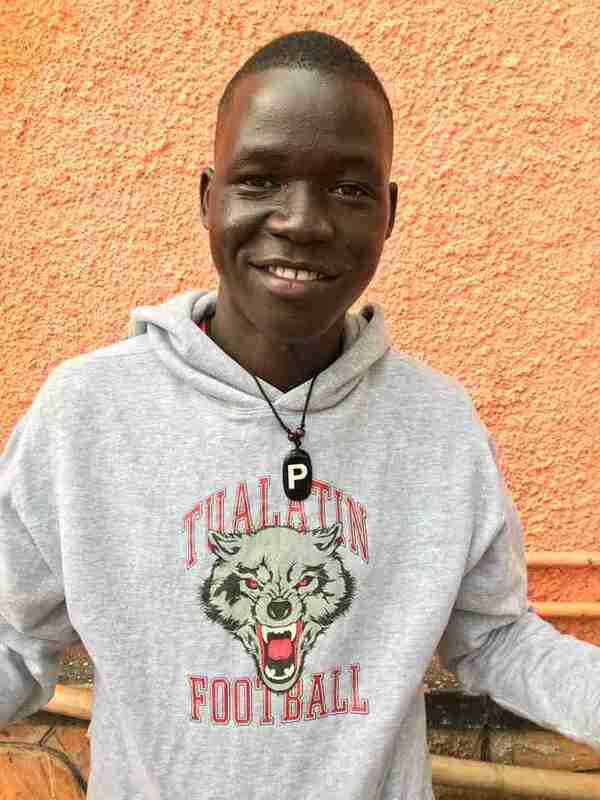 One of our amazing young men is in need of a sponsor and we’re sure hoping someone out there might be Simon Peter’s “person.” You will love him so much!! He is one of the kindest and most soft spoken young men you’ll ever meet. You’ll have the chance to exchange letters and pictures, you’ll receive his report cards and you can even visit him some day. Simon Peter is an excellent soccer player and aspires to be a lawyer. Simon is well loved by his brothers and sisters at Peace For Paul and by all the staff. The cost of his sponsorship is $65 US per month (he does have another sponsor, so this would be a shared sponsorship). Our sponsorships cover all aspects of life in Uganda. Food, housing, clothing, private school, medical, dental and on and on and on. We are fully acting as the family. Here’s a bit of Simon Peter’s story….. Simon became an orphan when he was 10 years old. He was separated from his brothers when they left northern Uganda to look for a better life. Soon after both of his parents died. He was left alone with no relatives to rely on and so he learned to rely on himself. 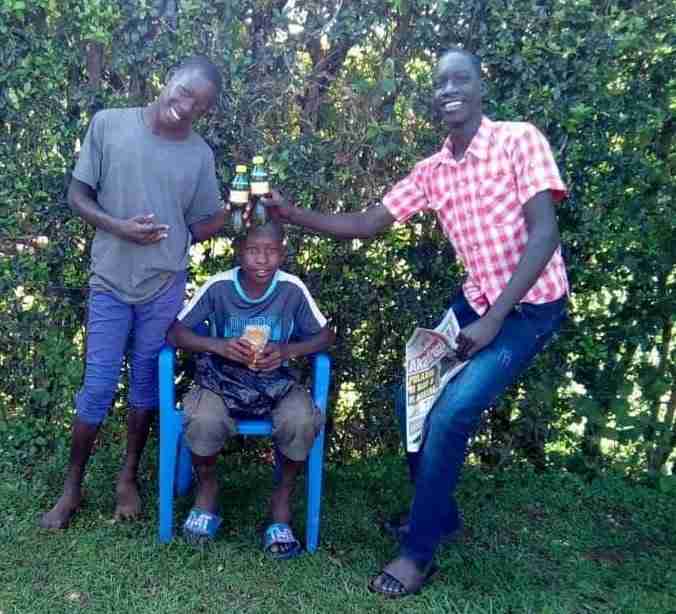 He began selling water to people in restaurants and at the end of the day, would be lucky to leave with 1,000 shillings (approximately $0.33 in USD). The school he had attended allowed him to continue his schooling though he had nowhere to live and struggled to find his meals. Simon Peter understood the importance of education and somehow managed to keep his grades up. There was one teacher in particular who helped him with school fees and even with school supplies. Unfortunately in 2014, this kind woman died during childbirth and Simon Peter was again left with no one to help and no way to get enough money to attend school. He traveled to Jinja (the town where our homes are located) with the hopes that he would be able to find a way to attend school from there. This is when Peace for Paul was introduced to him. Unbelievably the first day he came by our home, he found none other than a long lost half-brother, OUR Paul (the namesake for Peace for Paul) !!! A happy reunion for all of us! Contact hope@peaceforpaulfoundation.org if you would like to learn more. 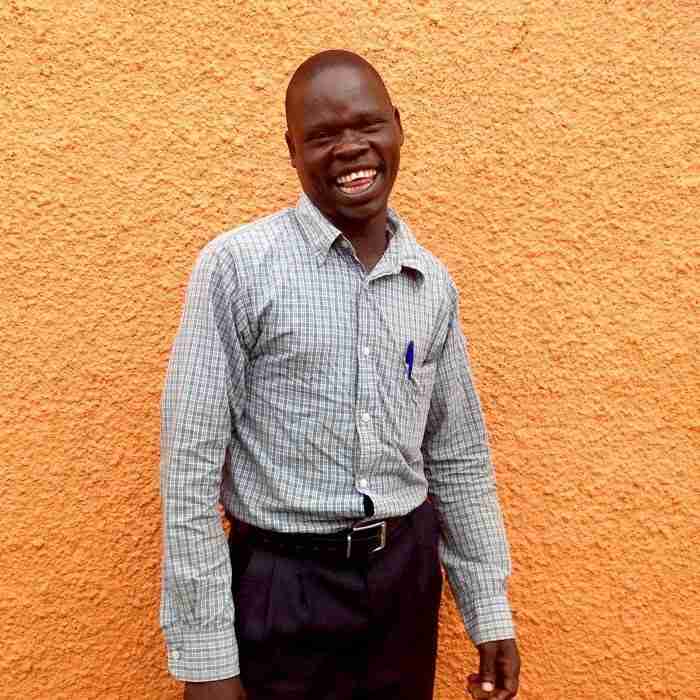 We are looking for one more sponsor at $65/month to help Simon Peter. Our Primary 7 and Senior 4 students have been working hard studying for the National Exams. 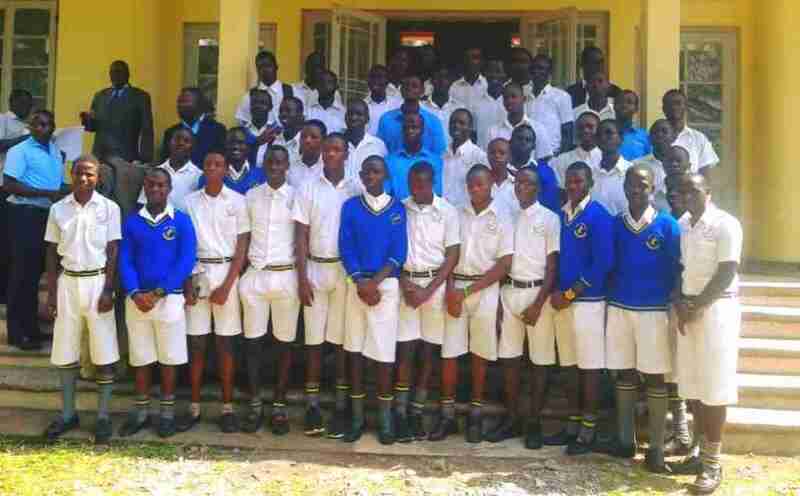 If they pass these exams, our students will be granted the opportunity by the Ugandan government to progress in their studies to either Senior 1 (from Primary 7) or Senior 5 (from Senior 4). We are behind our students all the way and wish them the best of luck! Welcome to Love Home, Isaac! Our long time security guard for Love Home has been promoted to Activities Coordinator/Caretaker. He has proven, year after year that he has a passion for helping underprivileged children and always takes the time to play and to make each child feel important and loved. Isaac holds a degree in Social Work and in Computer Studies. We are grateful to have this skilled, compassionate and hard-working man as a part of our team! Every term, the Juniors program sponsors a gift of school supplies for at risk children in our community. This term, we were able to reach out to almost 200 students in need! 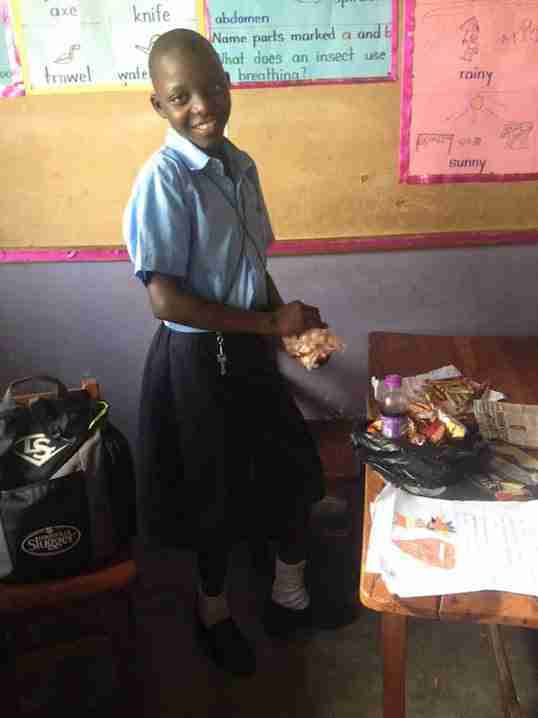 They received pens, notebooks, paper and other school supplies. For so many families, the cost of school tuition is a huge challenge and they often have to go without any school supplies. Can you imagine attending school without a pen and paper? Thanks to our Juniors sponsors, these little students don’t have to worry about it now! Sweet Muhammad has faced many challenges in his short life. He lost his parents at a young age and now lives with an auntie and many other children. Her single income is not enough to pay rent and buy food for everyone. Education is a luxury that they simply cannot afford. Muhammad would like to get an education so he can get a job and help his auntie and other people who are struggling. 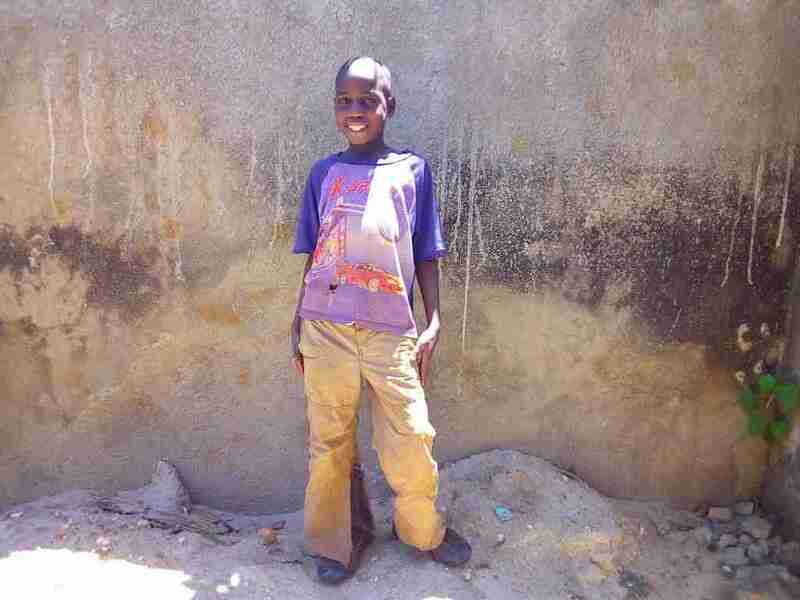 We took a leap of faith that we would find a sponsor and he was enrolled in school this term. He is so excited, now he just needs a wonderful person to brighten his life and make his dreams come true with the gift of an education! Muhammed is a part of our PFP Juniors program, so he will continue to live with his auntie while PFP supports him with education related expenses. We are looking for one $35/month sponsor for Muhammed.